Omega Learning® Center has highly qualified math and science tutors to help your student with Algebra 1, Algebra 2, Algebra 3, Calculus, Trigonometry, Statistics, Physics, Science, Chemistry, Biology, math homework, math test preparation, and study skills, including honors and AP classes. Remediation for Skill Gaps – Omega’s math tutors fill skill gaps as needed in key areas of math including basic calculation skills, math fluency, math word problems, math reasoning, and math application. Homework Help – Omega’s math tutors work with our students’ school curriculum to help them complete difficult math homework. Test Prep – To achieve better grades in school students learn important test-taking strategies and prepare for math tests at Omega. Study Skills – Omega’s math tutors teach note-taking techniques, listening skills, time management, and math homework organization. Math Application Skills – Omega’s math tutors help students build important critical-thinking skills needed to apply knowledge of simple math to more advanced, multi-step math concepts. Omega’s math tutoring programs are highly effective for students of all ages and validated by post-program academic growth statistics. 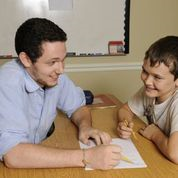 For elementary school students, our math and science tutors provide students with a solid fundamental math foundation. Students learn to rely less on short term memory and more on their conceptual understanding of math. As students’ progress through middle school Omega-certified math and science tutors help students to further develop vital critical-thinking skills needed for long term success in math and science. Omega also understands the importance of building strong study skills before high school and all programs incorporate study skills and math test preparation. 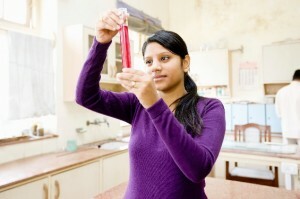 High school students are faced with challenging math and science course curriculum. Omega’s math tutors provide consistent support during the school week to improve classroom comprehension and grades. Key program objectives are integrated into all math tutoring programs: Remediation, Study Skills, Test Prep, Homework Help, and Enrichment. Omega’s customized math tutoring programs and cutting edge technology provides the most effective learning platform for your student! Omega’s math and science tutors send daily progress reports to your Academic Team, including parents and teachers at school.